After over six years of a massively successful, iconic campaign, it's always a challenge to find ways to keep things fresh, interesting and relevant. We call the latest iteration of our University of Farmers® campaign, "We Know From Experience." It's based on the insight that Farmers agents know a thing or two, because they've seen a thing or two. Whatever you can imagine, they've probably seen it and covered it — and they know how to help you too. "We know from experience" as an online experience. Visiting an insurance website is a naturally utilitarian experience: rates, quotes, coverage and fine print. 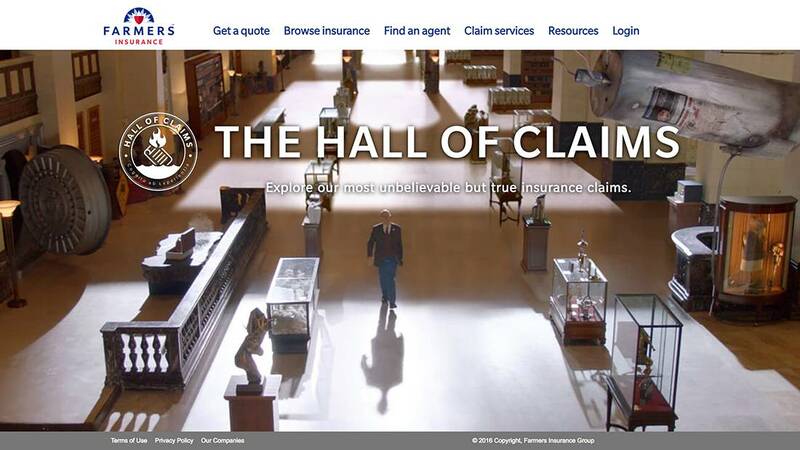 But we also wanted to build a bridge between the TV campaign and the digital experience, which led us to the idea of creating an online version of the Hall of Claims. 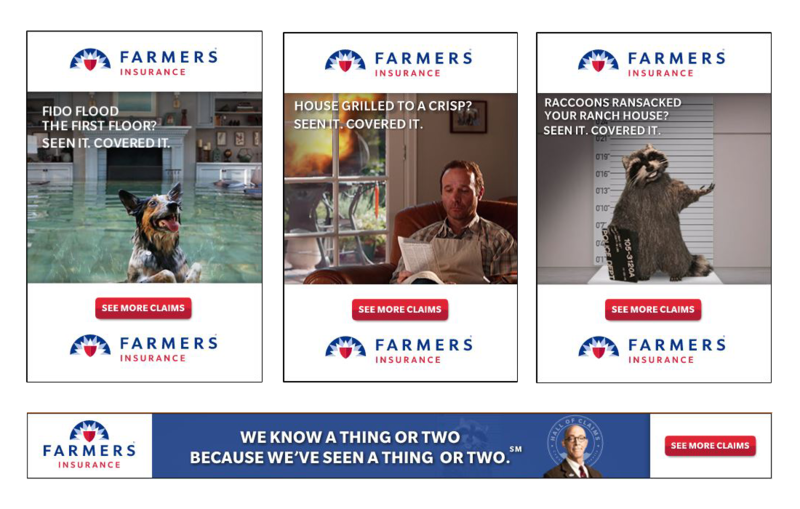 An interactive microsite gave visitors a more impactful connection to the insurance answers they were seeking, with the ability to explore true Farmers agent stories in greater detail, and learn more about how the right kind of coverage can come through for you when life goes sideways.